Diabetic patients might no longer be injected with insulin but will start taking pills to treat their condition, so stated by a group of Australian Researchers. Research led by the University of Adelaide is testing safer and more effective drugs to treat type-2 diabetes which will reduce side-effects and insulin injections. According to the two studies which was published in the Journal of Medicinal Chemistry and BBA-General Subjection, it was revealed that the two new drugs could be more efficient in reducing blood sugar. One of the main reasons that triggered this research was the unsafe and ineffective usage of insulin injections. The second study which was in collaboration with South Australia's Flinders University, used X-ray crystallography to demonstrate how a drug, rivoglitazone, binds with the PPARgamma receptor. Rivoglitazone fully activates PPARgamma but produced fewer side effects than other drugs that activate the same way. Read Also: Must read! Your Health can be checked by this tiny sensor. Incase you are not much enlightened on this disease, type-2 diabetes is characterized by a resistance to insulin and subsequent high blood sugar, usually resulting from lifestyle factors like poor diet and lack of exercise. According to John Bruning from the University's School of Biological Sciences and Institute for Photonics and Advanced Sensing, developing safer and more efficient drugs is essential. 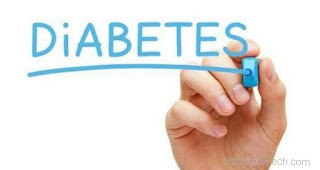 He further stated that "prevalence of type two diabetes in Australia alone has more than tripled since 1990, with an estimated cost of 6 billion AU dollars ($4.5 billion) a year."